I design and make a variety of cases for mobile phones, MP3 players or to keep tissues or other items safely in your bag. The cases are all padded to keep your valuable protected. 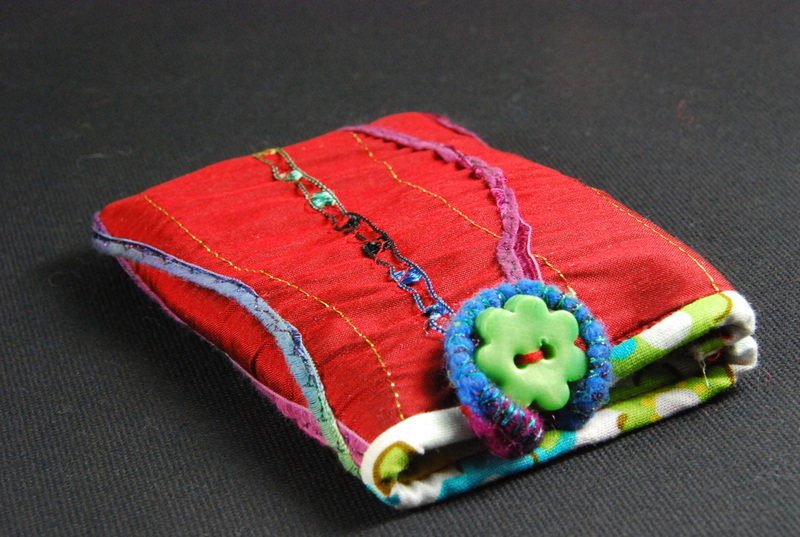 This case is made from silk and has been embellished with stitching and yarns. The button is also hand made by me. Each case is unique, so you are buying your very own original artwork. Please use the contact page to ask about available designs.